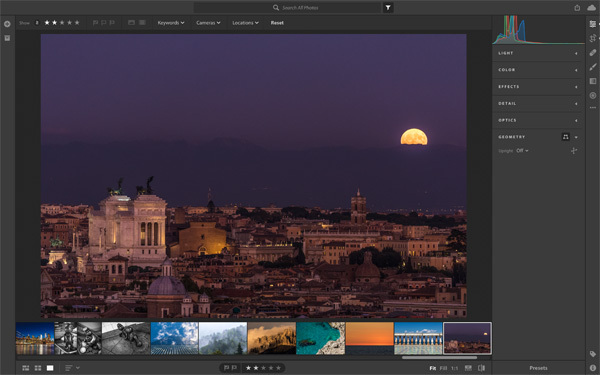 Adobe recently launched a brand new ecosystem that revolves around cloud-based synchronization of your entire photo library. The new platform is called "Adobe Lightroom CC", and this course will help you make the most of this new set of tools so you can organize, optimize, and share your photos from virtually any device in any location. Adobe Lightroom CC employs cloud-based synchronization so that all of your original photos are available from any location on virtually any device. You can access your photos on your computer, on a smartphone, with a tablet, or from just about anywhere using a web browser. In this course you'll learn about the many features of Lightroom CC, and gain confidence in your ability to leverage the full platform to organize, optimize, and share your photos with ease.